Posted by Katy Foley on August 10, 2018 at 9:00 AM. Filed under LED Lighting, Around the Home . Who hasn’t stubbed their toe on the bed frame, or the dresser, or a door, or anything else that doesn’t yell out at you during the night? If you say you never have, your time may be coming. Motion Sensor Night Lights detect light as well as movement for a combination that is sure to save your toes and illuminate your rooms in the black of night. GE Motion Activated Night Lights automatically turn on and off with activity detection features. 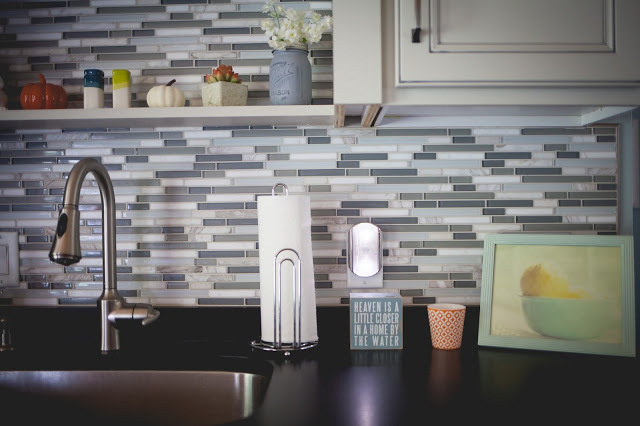 After 90 seconds with no motion detection, these night lights turn off which make them great for spaces in the home that don't need constant light such as kitchens, laundry rooms, living rooms and bedrooms. GE Motion Boost LED Lights sense the level of light during the day, automatically turning on at dusk and off at dawn. 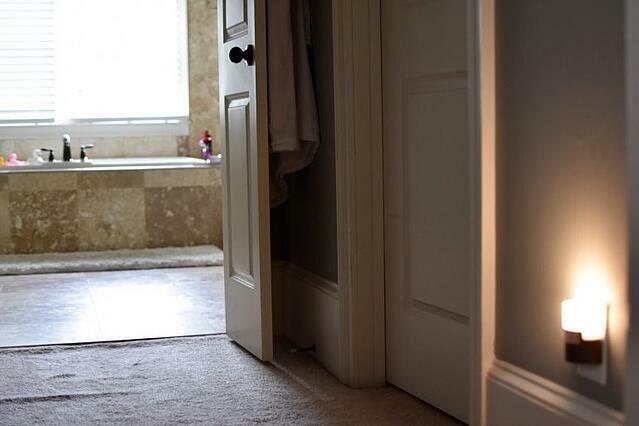 The constant presence of light from these night lights make them ideal for paths to bathrooms or kids' bedrooms you may need to get to during the night. The LED bulbs inside this night light illuminate the area with 3 lumens of light casting a soft, warm glow until motion is detected which then boosts to 40-100 lumens of bright light (depending on your model) to provide safe surroundings for you to pass through. At a full 100 lumens, the whole room can be illuminated. In a time where our eyes are invested in screens more often than not, rest is something to be taken seriously. Research has shown that exposure to blue light keeps us alert and elevates our mood along with helping to regulate our natural wake and sleep cycle. Using a bedroom night light that emits blue or bright white light can trigger your body to decrease production of melatonin (the body’s sleep hormone.). This leads to poor sleep and tired, unproductive days to follow. 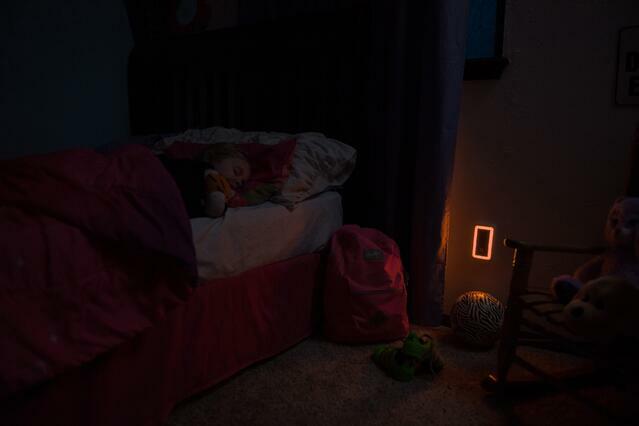 These SleepLite Night Lights use special LED technology with softer, warmer tones with virtually no blue light, supporting healthy melatonin levels that tell our bodies it is time for rest. By working to promote a natural sleep cycle, the SleepLite works to improve your overall sleep quality. 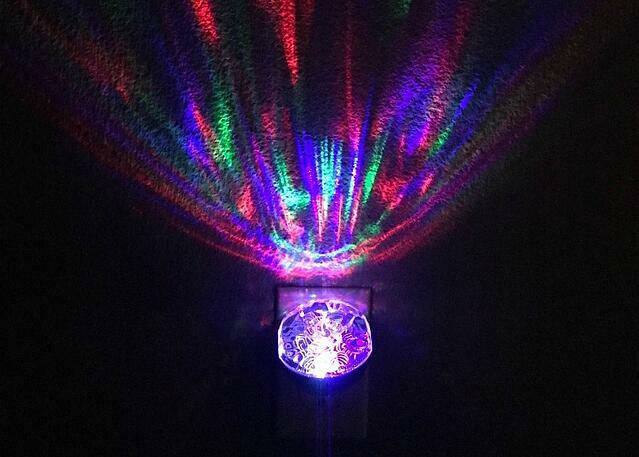 Projectables Night Lights are an amazing way to end the day with an indoor light show. With light sensing technology, all plug-in Projectables automatically come on at dusk and off at dawn to save energy and set a fixed bedtime routine that helps promote better sleep. A still image Projectable of your favorite places such as underwater scenes, safari savannahs or the solar system bring the ceiling to life. Disney, Nickelodeon and Marvel branded Projectables comfort children at nighthelp children take on the dark and be independent sleepers. 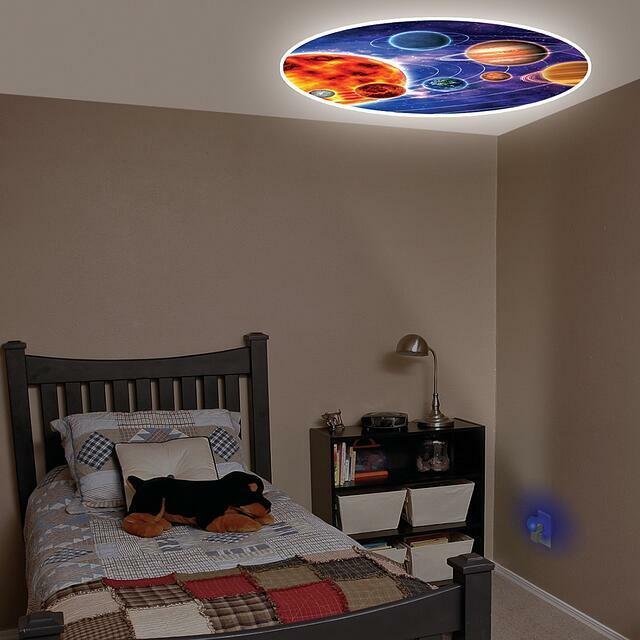 Place yourself into a whole new world with a Motion Projectable Night Light like the Northern Lights or Space Nebula. These night lights illuminate in the dark for a show that is bound to spark imagination and your nightly dreams by setting an engaging visionary scene above you. The days of being limited to only white night lights are over. Let slow transitions into a new color soothe your mind after a long day and put you at ease. With light sensing technology, you can enjoy an indoor rainbow from dusk to dawn without energy costs that will break the bank with a GE Color Changing Night Light. For those who are dedicated lovers of one color, the single-color mode option of these GE LED night lights is fitting for you. Another fun option for a solid color night light with a modern, designer look is the Mini Slimline Coverlite and the larger, rectangular Slimline Coverlite. Keep the classic white light but enjoy a colorful exterior on these night lights. Coming in a few color options, these sleek and slim GE night lights provide 5 and 10 lumens of soft light and style to any space. In addition to adding style, you can also save space with the Mini Slimline that only covers one outlet. 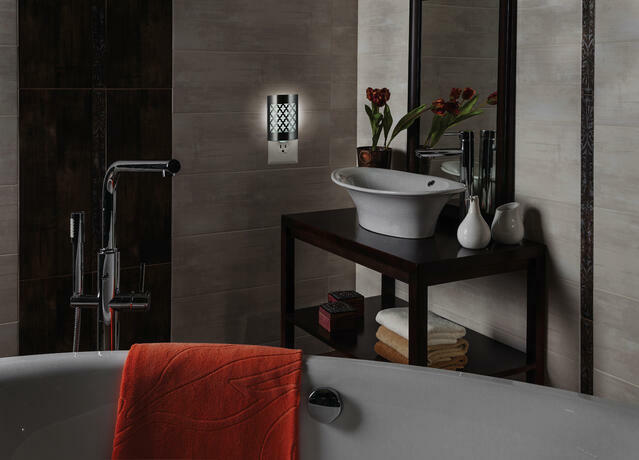 Choose from a variety of GE Coverlites and other decorative night lights for high end finishes with modern designs. 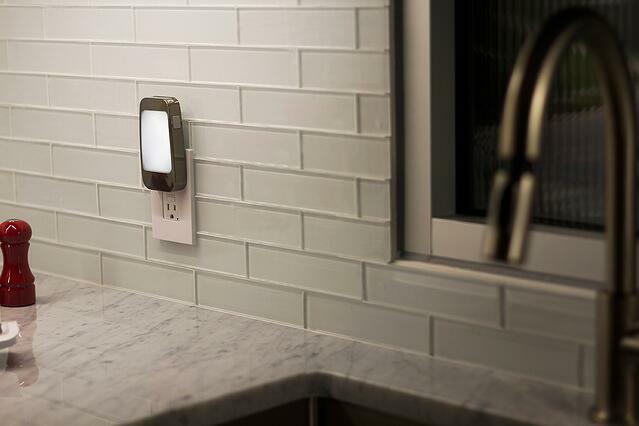 The brushed nickel exterior on this Coverlite paired with an unique design pattern brings a state-of-the-art look to every outlet it is plugged into. 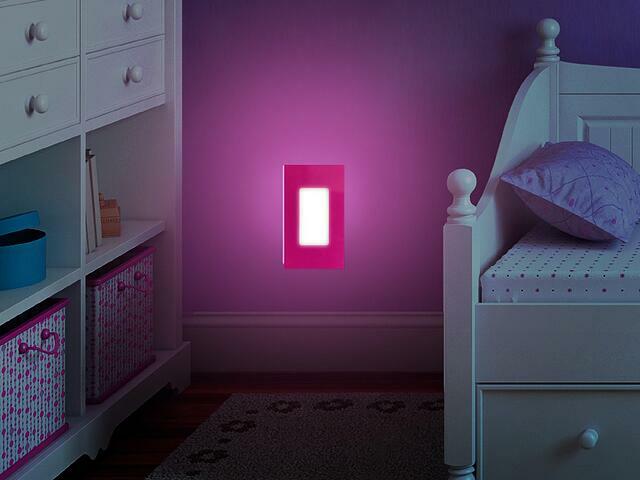 Emergency night lights provide back-up in situations you aren't prepared for. This power failure night light will automatically come on when the power goes out, giving you an immediate light source in the dark. With the ability to be removed from the wall and used as a flashlight, power failure night lights serve many purposes in case of emergency. While being a handy resource in unexpected times, you can also use these night lights for standard use in the evenings. Whether it is color changing, projecting an image, helping your sleep, providing emergency lighting, preserving energy costs or just saving your toes from run-ins with furniture, night lights like these do their job. No matter what type you prefer for your home lighting, your LED night light is sure to drive out the darkness in style. Katy is the Digital Marketing Specialist at Jasco, helping with online marketing efforts including email campaigns, blogging, public relations and company websites' efforts. Katy is the "hostess with the mostest", actively planning parties and get-togethers with friends and family with the help of her trusty sidekick Max the cattle dog, with a side job as a professional napper. She holds a degree in strategic communications from the University of Central Oklahoma.